We've been saying that the customer is queen or king for quite some time now. And in the coming year, that will be truer than ever. The customer determines where he or she finds information and which channel and which supplier gets the sale. And there is an abundance of these suppliers (certainly online). Customer loyalty, it seems, is as good as dead. Yes, of course, we are faithful to our local baker and tailor, but for items we don't buy everyday and where there is no personal relationship with the supplier (nor does there always need to be one), we don't really care where we order from. Right? Today, many consumers make their choice based on only two criteria: price and reviews – the latter providing some confidence about product quality and supplier reliability. And it's an obvious choice. Why would you pay top price for an OEM device charger that you can get from a Chinese web shop for a fraction of the price – unless you need it tomorrow, of course? Virtually no supplier has a monopoly today, and you can switch to a new supplier with just one mouse click. So does that leave all companies having to compete solely on price? No, that would create an unhealthy market situation. Aiming for good reviews is a great idea, of course, but is merely a partial solution. To encourage customer loyalty in the long term, you need to focus heavily on the last touch point in the customer journey. The three elements are essential in these efforts: data, analytics and real-time decisioning. Customers leave a data trail behind in various channels. This data enables you to build up a wealth of information about the customer. This is nothing new, but I have noticed that a lot of companies have difficulty in determining what data from this data stream they should add to the customer profile. By analysing the data, you can determine whether data can be assigned as a fixed value to the customer, or is of only temporary relevance, such as a location, for example. In addition, you can really get to know your customer by analysing this data, using this knowledge to predict behaviour and responding to this behaviour in real time. Using analytics to predict customer behaviour is the key to success in the last step of the customer journey. In this way, you can create the ultimate balance between customer service-driven interactions and marketing and sales-driven interactions. Just think how valuable it would be to know at this last touch point whether you should persuade the customer with your service, or use a combination offer with a product from the same line? By using data strategically, you can predict where the customer has a need. You know what motivates him to actually make a purchase at that critical decision point. Responding smartly to this will increase customer satisfaction and make those customers more loyal. As a result, you will see that price and reviews are indeed important, but that customers still need a supplier who knows and recognises them, and responds to their needs. To learn more about creating fiercely loyal customers, download our free ebook, Keep them coming back: You guide to building customer loyalty with analytics. 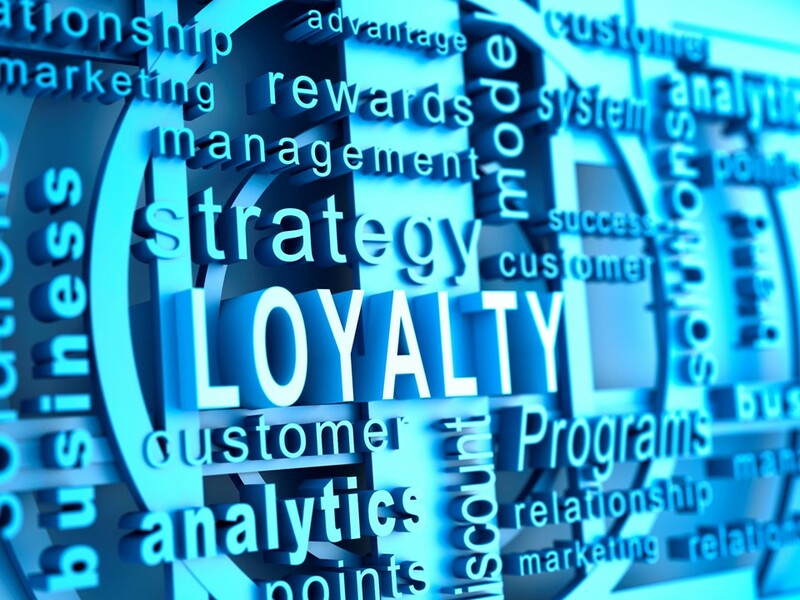 How do you revive customer loyalty in the digital age? was published on Customer Intelligence. Privacy is a perennial issue. Whether it is a data breach at the IRS, deliberate leaks such as the Panama Papers or simple non-compliance of data rules, privacy is a regular source of news stories and concern to those responsible for managing personal data of any kind. The Internet of Things (IoT) has potential to make this level of concern look small. IoT data can expose more—and more intimate—information than has ever been shared in the past, and customers are waking up to this. So how can marketers navigate their way through this minefield? Marketers need to understand that their customers are anxious. A recent survey by Fortinet revealed that 69 percent of people are either "extremely" or "somewhat" concerned that a household appliance could be involved in a leak of personal information. Around the world, a majority of respondents agreed that their privacy was important, and they did not trust how their data might be used. People do not understand the potential, and they are not prepared to trust without proof. Marketers should build on their existing opt-in culture to really exploit IoT data. An opt-in culture has been established in marketing for a long time. And while people complain about the lack of consistency about whether you tick a box to opt in or out, they also understand that they can change their preference at any time and, most importantly, their wishes will be respected. Marketers need to emphasize that this will continue. Putting customers in the driving seat allows them to take control of their own privacy. This is an extension of the opt-in culture: nothing is done without authorization from the customer. For example, London’s Regent Street has a system of beacons that can interact with mobile devices to provide offers and invitations based on precise location and preferences. However, this can only happen if the customer downloads the app, completes a short questionnaire and gives authorization. Thus affecting the amount of IoT data streaming into the companies. It is important to provide customers with good reasons to opt in. Think of the earliest loyalty cards. Customers opted in by the thousands because they got something valuable back, usually discounts or offers at first, but later, points that they could use towards rewards. The principle has not changed. Customers understand that it is a business deal: they give data about their habits and behaviors, and they get something back. It’s all about how they rate that ‘something back’. Customers want personalized experiences that are consistent across channels. Customers are genuinely keen to be seen as a single entity, even if they use multiple channels. They also want an ongoing relationship, and to be treated as an individual, not part of the masses. Many, however, are wary of sharing the very information that could enable this to happen. Marketers need to get better at explaining why sharing information is important for customers, as well as for businesses, and how it could improve customers’ experiences. Increased sharing should be rewarded. Some customers are prepared to share more information, which of course means a greater return for the organization. To encourage this behavior, these customers should be given additional rewards, and this contract should be made overt, not clandestine. Customers need to understand the contract into which they are entering. With transparency comes trust. The relationship needs to be supportive not exploitative. Any relationship is two-way. Even though some are unbalanced. A parasitic relationship—all take and no give – is unlikely to be welcome to the person on the receiving end, who is likely to go out of their way to end the relationship. A symbiotic relationship—one of mutual benefit – is much more likely to endure. Think about a supportive manager who gradually overcomes an employee’s fear of being open by responding helpfully to any disclosure, and not using it to exploit the employee. The good news is that marketing seems to be well placed to take advantage of IoT data, and be able to address data privacy concerns. The rise of content marketing has driven a move towards developing relationships with customers, rather than a transaction-based model. And the opt-in culture is a strong basis for building trust. Marketers now need to take these advantages and use them. They need to build good, human connections, that provide value to both sides, and make sure that both sides understand the contract that has been drawn up. Embracing transparency is likely to be key to building trust, and generating true value from IoT data. 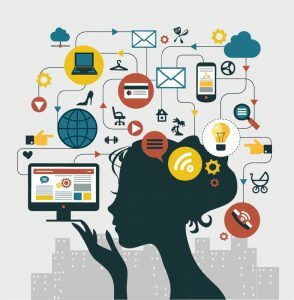 Are marketers ready to navigate IoT privacy concerns? was published on Customer Intelligence. Today’s retailers have access to vast stores of data that allow them to create the personalised retail experience that customers have come to expect. Used in the right way, analytics can be the key to bringing customers in through the door, building a better online experience, or simply helping weather slow periods by enabling faster, more efficient and nimble supply chain changes. Interestingly, customer perceptions towards a brand can significantly change following Black Friday discounting and January sales. Pricing strategy can be confusing at the best of times. Given the option of £50 off on a high-value product compared to a 70 percent discount on a low value item: which is the better offer? Which deal do consumers trust, and why? More importantly, how does it impact the brand perception? For years, retailers have collected customer data through loyalty cards, email marketing promotions, point-of-sales tills, as well as online browsing behaviour and purchase orders. What has changed over the years is the technology that allows retailers to analyse and understand data. The advent of technologies like Hadoop has enabled the development of advanced analytics solutions to produce more insightful and timely answers for retailers, which is of huge value during peak trading seasons. Another interesting point here is that often the data collected spans the last three years of trading or more. This is traditionally used by store managers to forecast pricing and demand. Yet we know that outdated historical data, coupled with unpredictable external factors like weather conditions, regularly produce inaccurate forecasts. As a result, retailers are still making predictions largely based on gut feel rather than objective insights. More often than not, they are also spontaneously reacting to competitors’ price cuts without carefully calculating their profits and loss potential. Another common retail pitfall is the effect of over marketing with a general blanket message. Unaware of the consequence of blasting out daily and sometimes twice-daily promotional emails in the hope of catching shoppers’ bargain hunting instincts, retailers are actually turning customers away. Consumers will easily unsubscribe from brands they previously loved, especially if they feel they are bombarded with irrelevant and unwanted product recommendations that only clog up their inboxes. True personalisation demands an intimate understanding of the customer, and willingness from the individual to participate. One of our retail customers has been using data analytics to deliver personalised product displays. These are highly targeted to improve conversion and avoid endless page scrolling. Instead of feeling like every other shopper each time a customer enters the site, they can now enjoy a genuinely personal engagement with the retailer. Behaviour is predicted and product recommendations are based on browsing, and a wealth of customer and transaction data. With a more personalised customer experience, shoppers will be able to purchase products at the best price, while receiving the best in-store, online and post-sales service. As retailers have better insights into customer behaviour and spending patterns, they will be able to personalise the experience and product recommendation. In turn, shoppers will feel they are receiving better deals and being looked after by the retailer. Some customers may also find themselves receiving extra benefits or upgrades through loyalty schemes, enhancing the overall experience with the brand. SAS has worked for many years with dunnhumby, the power behind Tesco’s Clubcard. Today there is a need to market to customers across multiple channels. 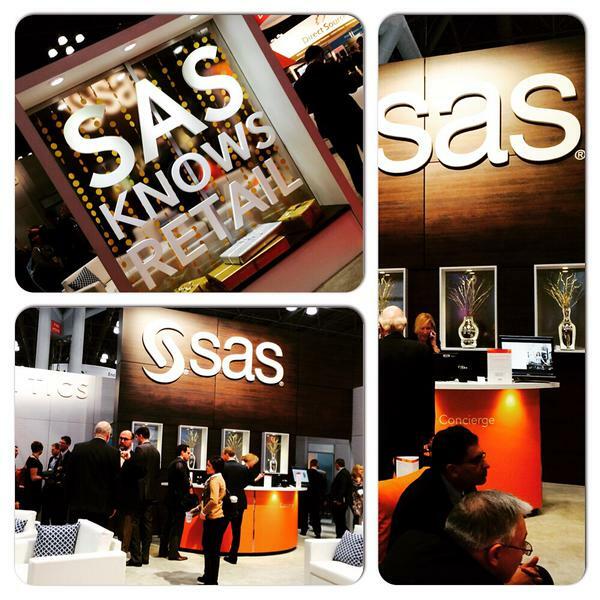 SAS has also worked with Callcredit Information Group, specialists in marketing services, analytics and data, to deliver a market leading omnichannel marketing and analytics service. This partnership has delivered a solution to ASDA. It provides an easy-to-use interface, with repeatable processes to enable organisations to deliver more campaigns – from simple to complex – in a shorter space of time. On Black Friday alone, shoppers spent £1.1 billion with UK online retailers, setting a new internet retail record which underlines the online shopping revolution. The true impact of this year’s trading results are yet to be seen but one thing is certain – retailers can no longer rely on historical data alone to forecast pricing models or stock performance. Analyse the data and visualise the demand forecast on a specific product in a specific store on a specific time and day of the week. This enables the retailer to ensure they get specific stock to that location. Predict what else the customers might like to buy in the same transaction and personalise the product recommendations accordingly. Predict the behaviour of customers by channel. For example, how customers might move between online browsing and in store purchasing, or their preference for home deliveries or Click & Collect. Use demand insight to negotiate more effectively what the retailer buys from suppliers and when. Also, strategically plan for a more coherent and cheaper supply chain and transportation journey, allowing for external factors like extreme weather conditions. Understand which segment of the customer demographics are most valuable to the business and devise a more effective way to nurture their spending and relationship with the brand. Delight your customers by presenting them with product and brand recommendations which you already know they will want and like. In principle, the knowledge of who wants what and when is an art form in retailing that is rooted in the golden era of advertising and knowing your customer. Retailers that have enhanced their skills in this area will continue to grow and prosper, which is why demand for data analytics technology will continue to grow over the coming years. Find out more about how to make effective pricing decisions. Unlock your retail potential with better pricing models and brand loyalty was published on Customer Intelligence. In the past, the supermarket wars were fought on location and floor space. The biggest supermarkets had the most space in the best locations. Today it’s very different as battles are won and lost on price, loyalty and maintaining profit margins. The price of milk rose to the top of the headlines recently, with some supermarkets reportedly lowering their price to the detriment of their suppliers. Politics aside, the reason supermarkets are tempted to lower prices is to attract and keep customers. If the milk is a good price, what else might a customer buy during the same shopping trip? The rise of discount stores is seemingly a sign that customers prioritise price over range. Aldi, for example, has roughly 3,000 different products in its stores, significantly less than its UK competitors that can have around seven to 10 times more. But the milk debate and subsequent consumer commentary revealed that though customers have been voting for discounts with their pennies, their heads tell them that they wouldn’t really mind paying more. It’s about perceived price and value, rather than actual price. This is no small issue. Earlier this year it was reported that the ‘entire structure’ of the supermarket landscape has changed because of the price war. Discount supermarkets are picking up more and more market share - Aldi now has 5.6 per cent, Lidl 4.1 per cent (a combined 9.6 per cent), pushing Waitrose down to seventh place with 5.1 per cent. This leaves a conundrum for non-discount supermarkets in which price must remain a priority, but where loyalty and range are also factors. Today’s battlegrounds are knowledge of customer preferences and behaviours and creating and keeping loyalty. The supermarket that knows its customers best can create a price point and a range that best suits them. That could even be at the hyper-local level too as high street space is at a premium and therefore must be used wisely. At what cost? The major focus for traditional grocers has to be the ‘cost to sell’. The discounters are celebrated for their lean low cost structure, which from my vantage point is a world away from the likes of Tesco, Sainsbury’s and Morrisons. New inventive ways to retain market share are actually increasing the cost of doing business – e.g. Click & Collect. In fact, John Lewis announced recently it was now charging for this service. Insights from real-time analysis can lead to better decisions on range. Knowing what your customers want can provide lots of useful insights for purchasing managers to decide which products to stock and at which store location, and most importantly, factoring in visibility over cost of sales and ensuring a focus on remaining profitable. The traditional ‘points means prizes’ approach is no longer sufficient to retain customer loyalty. Instead, ask yourself this: what can you do to give them greater control over how they are rewarded; what are their shopping pain points and how can you evolve your business model to will keep them coming back for more? Supermarket wars are no longer simply about location, floor space, or even price. It’s now data-driven and loyalty-focused, and the battles are being waged with customer knowledge and analytics. To find out more, we worked with Northwestern University's Kellogg School of Management to explore what drives consumer loyalty. The results and recommendations are summarised in Shopper Insights to Improve Retail Loyalty Programs - download the report to learn more about what matters most to consumers with respect to loyalty, views about retail industry role models with respect to loyalty, and more. 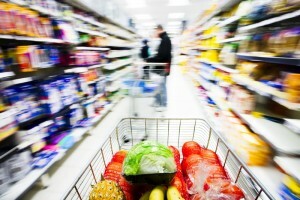 Supermarket wars: now data-driven, loyalty-focused was published on Customer Analytics. A happy customer will be a loyal customer. Collecting and counting points in order to reach a threshold - and ultimately receive some sort of reward - these are the loyalty programs we know of today. Recently I have read a lot about how brands are looking to overhaul their loyalty programs - to reach more customers and generations and to provide more relevant rewards. All to improve the customer experience and provide more relevant and contextual offers than what consumers receive today. 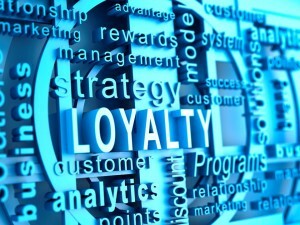 The fact of the matter is this - loyalty programs are ubiquitous. According to Maritz the typical household has 21.9 loyalty program memberships, with the average person belonging to 7.4 unique programs. The question is: are organizations using them effectively, to keep customers truly loyal over time? 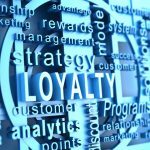 A recent study from the International Institute of Analytics (IIA) and SAS titled, Keeping Customers: Successful Loyalty Through Analytics, looked at the current landscape for loyalty programs in the U.S. from the perspective of loyalty managers. Disappointingly, only 16 percent reported they have a “very effective” loyalty program. This seems to echo that same research from Maritz that reports only 35 percent of members are engaged in all of the loyalty programs they belong to; on average, people are active in 4.7 of the 7.4 programs to which they belong. So, what is going wrong? To answer that perhaps we should focus on what highly successful programs are doing right. The study found that those with “highly effective” programs had two goals: creating strong brand affinity and improving customer satisfaction. They emphasize customer experience over inward-facing goals of customer retention, and before expecting customer loyalty. A dedicated customer loyalty team and using social media to engage with customers (not just promote your brand) shouldn’t be surprising. Having a dedicated customer loyalty team is not a new trend; large brands from retailers, to banks, to airlines, all have this function in place. And I would argue that we are almost at the point where using social media as a channel is a given, not an option, for brands—so this one doesn’t surprise me either. This probably correlates to the last bullet point. Nearly three-quarters of organizations with highly effective loyalty programs call data analysis a core component of their loyalty initiatives; even more perceive their organizations as having a data-driven culture. In contrast, only about one-third of those with lower-performing programs said the same. This is particularly compelling evidence that analytics are a crucial element in enabling organizations to effectively target customers with better/more personalized rewards, and create a longer-term relationship with those customers throughout the customer experience. So if your loyalty program is looking a little lackluster, perhaps you should go back and take a long, hard look at the goal of the program. Is it inward-facing or outward-facing? Meaning: it is all about your brand or is it all about your customers and their experiences? If it’s the former then perhaps it’s time to refocus. This content from Jon originally appeared on The LeanBack blog by the Economist Group as, "Stop trying to buy consumers." Details on the analytically-driven marketing solutions Jon refers to can be found at www.sas.com/customerjourney. Check it out and let us know what you think! The post Customer loyalty is earned with customer experience focus appeared first on Customer Analytics. Personalization - it's all the rage! And it's no wonder because people are coming to expect a personalized experience both online and offline, driven in part by the mobile experience. Analytically-driven marketing software makes personalization possible and organizations such as Advance America are doing quite well at it. But here's the catch - often those processes depend on the customer allowing themselves to be identified, or known. 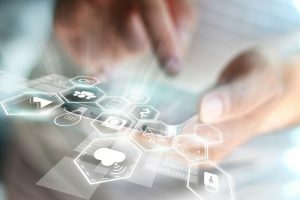 Affinity programs usually enable (and reward) people to self-identify, and location-based services enabled on smartphones allows that to happen as well. But what about those situations where you don't know the customer - either by choice or by circumstance? My colleague Kelly McGuire is a subject matter expert on the hospitality industry and she recently explored this issue in an excellent post to another SAS blog. Because her hospitality industry examples could very well apply in other industries, I'm very happy to highlight excerpts from her post below. Of particular interest are five key tenets to effective customer experience personalization. 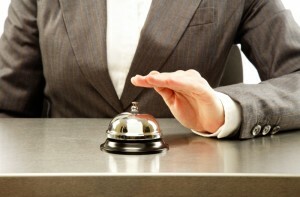 The front desk bell - beginning of a personalized experience? With so many possible ways to engage with new potential guests, hotels run the risk of becoming commoditized as they strive to differentiate themselves from competitors and third party distributors. In an effort to connect better with guests, most hotel companies are focusing on improving the guest experience, whether through personalization efforts or giving guests more control over their experience through mobile check-in, mobile keys or choice of rooms. To support this effort, hotels have been talking about getting that 360 degree view of the guest – gathering as much information as possible about needs, preferences and behaviors across all of their interactions with the guest. The idea is to leverage this information through the guest journey to provide more relevant offers, improve communications and increase engagement. Loyalty programs help hotels to gather this data – effectively rewarding guests for being willing to provide information about themselves. Hotels also try to gather and match any personal information provided at reservation or checking – emails, phones address, and tie that back to a person or a stay. Even with a customer profile available, having to stitch together fragments of data collected across the guest journey is challenging, and most hotels only “know” a small fraction of their guests. Most of the traffic to the website, or even guests in the hotel at a given night, are not included in the hotel’s guest database. So, if you don’t know the majority of your guests, how can you implement personalization initiatives? Interacting with an unknown guest is all about using what you can see about them (no matter how little) and analytically comparing that to what happened with other guests who looked or behaved like that. By tracking their search behavior and clicks, a picture begins to form of what they might be looking for, and potentially who they are. Using this information, compared to the activities of “known” guests, the website can start proactively surfacing relevant content, understanding options for “next best offer”, tracking the visitor’s reaction and then incorporating that back into the decision of what to surface next. The IP address can be recorded, and the next time the unknown guests comes back, you can use what you learned from their previous search behavior. Some of the actions may be based on business rules (if the visitor searches for resort properties, show beach pictures in the sidebars), and other actions can be based on analytic results (predictive modeling shows a 20% increase in booking likelihood when guests who followed a certain path were shown this specific piece of content). It doesn’t have to be that complicated, really. Just use what you can see to help the guest cut through the “clutter” of all of the many option you have available to find exactly what they are looking for. The results of these interactions will not be as accurate as when you have a richer profile of the guest. At least you can start testing and learning, and trying to be a little better than a generic web experience. You will get better over time with that specific visitor, and with your customer base in general. Offers should be profitable, driving business where it’s needed and protecting the firm from revenue dilution. Revenue management forecast and price recommendations should be incorporated into the offer delivery on the website and through other channels. Customer value should be carefully understood so that you are not over-incentivizing guests. Make it easy to do business with you. In the process of intelligently surfacing content and improving the guest website experience, don’t forget that your whole goal is to convert. If the guest can’t find the “book now” button in the middle of all of your beautiful, search engine optimized content, they will go elsewhere. Throughout the entire search experience, it should be crystal clear to the guest what they have to do to make a booking. The OTAs do it, hotels should too. Profiles and business rules can be dangerous. As you are building a guest profile, remember that demographic information alone does not form a complete picture of who the guest is. Behavior and context are also crucial pieces of information that fill out the picture. Simply using demographics and applying business rules will result in bad decisions. Think about the business traveler who this time is taking the family on vacation. Their needs and preferences will be dramatically different. Think about the variety that could exist within a segment made up of young professionals from the Northeast who tend to stay in city center hotels. Don’t cross the line to creepy. Just because you can collect information about your guests (mining their Twitter page, stalking them on Facebook), doesn’t mean you should or you should use it directly. The winning companies will be able to properly operationalize the information they collect or derive to improve the guest experience. It is going to be really easy to get this wrong. Companies already are. For every piece of data you collect or insight you derive, be sure to ask yourself what you would use it for. If you don’t have a good answer, don’t waste your time. Differentiation in the noisy digital space is becoming increasingly difficult. Guests can come to you through a variety of paths, and for a plethora of different reasons. Using the digital crumbs they drop along the way can provide opportunities to improve their experience, drive their loyalty and repeat business, and improve the hotel’s revenue and profits – no matter how much or little you already know about them. Many of the examples that Kelly can easily apply to other industries, because it's always about engaging customers and meeting their needs. So how do they apply to you? The post Five keys to effective customer experience personalization appeared first on Customer Analytics. ‘These shoppers ain’t loyal’: The sentiment expressed in "Loyal," a song by American singer Chris Brown, struck a cord with me, particularly around consumer behaviour. Whilst Brown may be decrying the erosion of loyalty in a very different setting, it's not a stretch to imagine how his lyrics might ring true for many retailers. Consider how retailers try to lure shoppers via shiny promotions and special offers in face of a daunting reality - increasingly fickle shoppers are their big share of the market - as can be seen in this Infographic by MarketTrack showing that 80 per cent of shoppers are willing to switch brands or stores because of a promotion. Some of my co-workers may object to my playing ‘Loyal’ on repeat as I write this blog, but I’m trying to make a bigger point. Shoppers, much like my erstwhile colleagues, are experiencing loyalty fatigue. And, I don’t blame them. 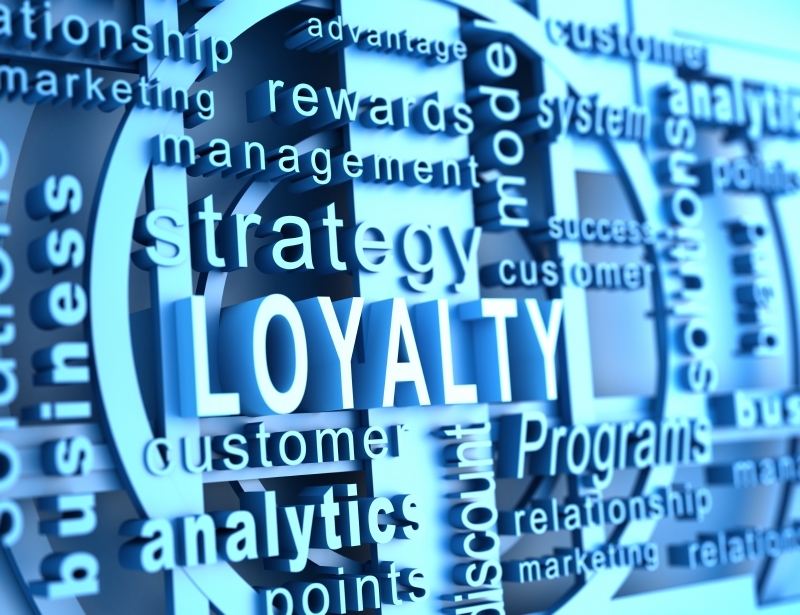 Customer loyalty programmes are now the norm. The wallets of shoppers are bursting with loyalty cards and their phones flashing with promotional apps, increasingly in real time. This information overload diminishes the value that these incentives once had. The loyalty wars, just like the supermarket bread wars, are leaving CMOs sweating. Today, the power and safety of a committed relationship is even more sought after. We know from our own experiences that loyalty can be borne out of many things: habit, fear, love, and convenience. So, what is it that makes shoppers return, bring others with them or be prepared to enter into an interactive marketing experience? We teamed up with Northwestern University's Kellogg School of Management to see how retailers can cultivate loyalty and improve the customer experience, and how doing that might relate to marketing analytics. And, whilst there do seem to be a few universal likes, we found that understanding and segmenting your customers is crucial. Shopping is not considered a pleasurable activity. This segment tends to put off shopping as long as possible. Shoppers who enjoy shopping and find the experience satisfying overall. Engage in shopping for the enjoyment of the activity, typically treating it as an occasion; they are less interested in practical shopping. Of course there are lots of influencing factors that create great customer loyalty. It starts with recognising what was once a competitive advantage is now an expectation. There is a need for retailers to invest time in understanding their customer base and listening to their comments and concerns in order to create a successful loyalty programme. If you want to stop ‘Loyalty’ from ringing in your ears, check out the full report, Shopper Insights to Improve Retail Loyalty Programs, for more insight into what channels, demographics and rewards matter most. And feel free to share with us whether you are motivated by habit, fear, love or convenience? For me, convenience gets me every time. “Praise the Lord,” that was our response when Alan Lipson, the global industry marketing manager for retail at SAS, said, “Smart retailers see that not every touch needs to lead to a sale. Sometimes the customer’s goals are more related to utility or convenience, and using data to help them accomplish those goals will increase customer loyalty in the long run." We’re going to literally make note of it and hand it to the next salesperson or pop-up window that stalks us. “The value is in the visit, not just the sale,” insisted Lipson. And if anyone has the analytics to prove it, it’s SAS. Virginia Gibbons, the author of the article, reached out to Lipson after the conference to get his thoughts on the energy, topics and freebies at the SAS booth. Keep reading for the full interview between Gibbons and Lipson. Was Big Data and Analytics a big deal at NRF’s BIG show? Alan Lipson: Yes, between the continued growth of omnichannel data and the coming onslaught of data from Internet of Things, big data and analytics were bigger than ever at NRF this year. What were attendees interested in? Lipson: I saw a renewed interest in customer experience and customer loyalty, with a real shift taking place in the way retailers are approaching omnichannel. Smart retailers see that not every touch needs to lead to a sale. Sometimes the customer’s goals are more related to utility or convenience, and using data to help them accomplish those goals will increase customer loyalty in the long run. Did you present or moderate a panel? If so, what was the topic? Were there any reactions that surprised you? Lipson: SAS sponsored two Big Ideas sessions. The first featured a Macys.com executive discussing customer engagement and cross-channel analytics. The enthusiasm of the standing-room only crowd was fantastic, and pointed out that retailers are still searching for the best way to understand and delight customers. The other session was a lively panel discussion among executives from eBay, Brooks Brothers and Chico’s. They talked about their experiences with loyalty marketing and the big data analytics needed to better engage with customers across all channels. What was the most interesting topic at the conference? Lipson: The Internet of Things, for sure. There is so much opportunity here to get convenience and optimization right with streaming data, but also a lot of risk for over reach and frivolous features. It will take some smart planning for retailers to get that balance right and develop options for consumers that are seamless and beneficial. If you had a booth, what did you give away or raffle? Lipson: We gave away copies of Jill Dyché’s new book, The New IT: How Technology Leaders are Enabling Business Strategy in the Digital Age, just released by McGraw-Hill. Jill is VP of Best Practices at SAS and a long-time consultant to businesses around the globe. She notes in her blog, “My current focus is getting IT and business organizations to collaborate more effectively and not kill each other.” A laudable goal. In her book, she covers innovation, the evolving role of the CIO and the trend towards digital business.